Organizations seeking talent often cite the need for soft skills as high on the list of desired attributes. 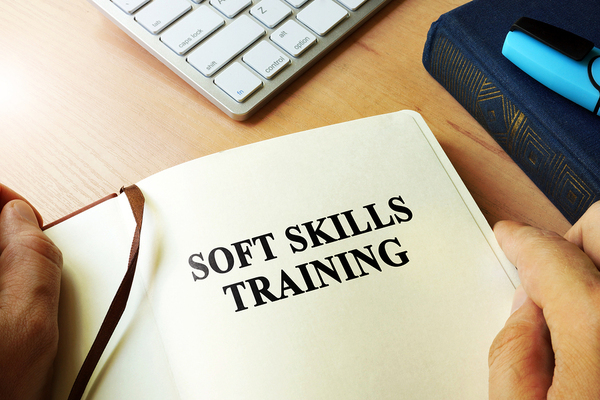 In some cases, while the technology news outlets tout technical expertise and experience as sought-after traits, it’s soft-skill development that allows workers to thrive in today’s dynamic business environment. Understanding why soft skills matter can help organizations shape their business strategy and hiring practices. A 2017 study by scholars at Boston College, Harvard University and the University of Michigan shows that an investment in soft skills yields a 250 percent return on investment and improves productivity and employee retention by 12 percent. The study was conducted with Shahi Exports, India’s largest maker of ready-made garments that produces clothing for major retailers, including J.C. Penney, Target and Wal-Mart. Shahi Exports is the largest employer of unskilled and semi-skilled women in India. Workers applied for a lottery and were randomly selected to participate in a program designed to teach soft skills: communication, decision-making, financial literacy, legal literacy, problem-solving and time management. In addition to the productivity and retention gains, program participants also took more advantage of government programs, had better opinions of themselves, save more for children’s education and were more likely to seek training in hard skills. Developing soft skills like conflict resolution and problem-solving give employees the confidence to address challenges as they emerge. Here are three of the most critical hard skills that can make an impact on employees and teams. Each builds resilience for the workers and their organizations and can have far-reaching impact. Problem Solving. Persistence is key to facing the inevitable challenges workers will face. Employees can learn how to move into a problem-solving mode without resorting to criticism or catastrophizing the situation. Instead of placing blame or heading into crisis mode, effective problem-solving skills teach employees to take a detached, logical approach and see the difficulties as temporary ones. Emotional Regulation. The ability to manage stress and remain productive while facing the pressures of the workplace is a powerful trait to learn. It can be undermined by feeling of anxiety (fear of the future), frustration (sense of inadequate resources) or anger (a feeling that someone or something has violated your rights). When employees are overcome with any of those feelings, they can impair their ability to assess and react to the situation at hand. The key is to recognize the triggers to such stressors and work closely to stop one’s self from spiraling into disruptive thinking that can derail progress. Sense of Purpose. This is a soft skill that is critical for managers to learn and to use when working with their employees. It involves helping your employees understand the mission they are working towards within your company’s framework of values. If employees can understand why their work matters and fits into the larger construct of corporate goals and objectives, then employees are better able to buy into the work being requested of them. Conflict Resolution. Whether working with customers or coworkers, knowing how to recognize conflict and resolve it is important. Employees who learn how to use skills to defuse conflict are likely to affect change and be productive. The challenge for any organization is how to balance technical and soft-skill training and leadership development. Without the right approach to both, organization may find themselves missing out on the opportunity to deepen worker affinity and efficacy.